Need more information about booking Home 7280630 ? 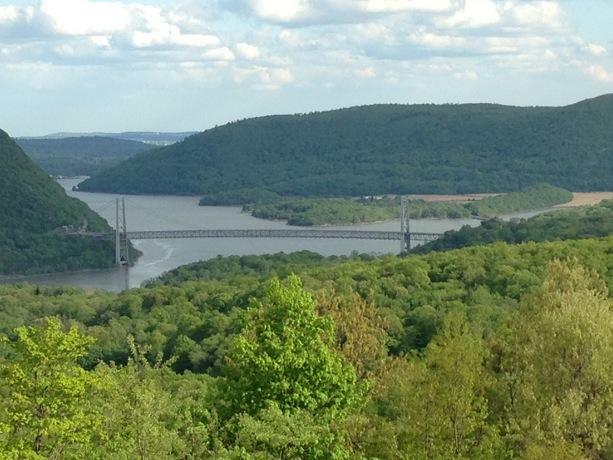 The apartment is located at the top of the mountain directly facing the Bear Mountain Bridge and overlooking the Hudson River with the spectacular surrounding highlands. Only minutes from West Point Academy, Bear Mountain State Park, Woodbury Common Premium Outlets, Fort Montgomery Revolutionary Battle Site and Adirondack Trails, etc. Less than 40 miles from Manhattan New York. The Garrison Train Station is about 7-10 mins away. Beautifully furnished apartment with spacious 1 bedroom suite, sleeps 4 adults max on a 10 acre estate. Our guests have their own entrance and a private patio with patio furnitures and a barbecue grill outside. You can get in touch with SpyglassInvestment (the owner) through the contact form on this page. Send SpyglassInvestment (the owner) an email through the contact form on this page. Alternatively, if there’s a phone number on this page, you can call them. How do I contact SpyglassInvestment (the owner)? If you’ve already booked, go to Manage your holiday booking to view SpyglassInvestment the owner's contact details or send them a message. Or send SpyglassInvestment (the owner) an enquiry through the Contact the owner/manager form if you’d like a quote or more info first. When you pay online through the Book your stay form, a booking request is sent to SpyglassInvestment (the owner). You’ll find out within 24 hours whether they’ve accepted - no money will leave your account before then. You can also request a quote from SpyglassInvestment (the owner) through the contact form. The owner will email you the total cost for your dates and a link to book and pay online. Use the Book your stay form to pay provisionally online. You can pay by credit/debit card or PayPal. SpyglassInvestment (the owner) will have 24 hours to accept the booking and no money will leave your account before then. Why can't I call SpyglassInvestment (the owner) before booking? You’ll need to contact SpyglassInvestment (the owner) to do this. Send them a message in Manage your holiday booking or through the contact form on this page. You can request to change the dates or number of people on your booking via the Manage your holiday booking page. To change your holiday dates use the Edit booking button. If you need to change the number of guests staying then send SpyglassInvestment (the owner) a message. If SpyglassInvestment (the owner) agrees, they’ll send you a revised quote outlining the changes. You can review and accept/decline this from the Manage your holiday booking page. You’ll have 48 hours to take action before the revised quote expires.